The High Speed Hydraulic Pallet Stacker is capable of stacking one pallet every 5 seconds. 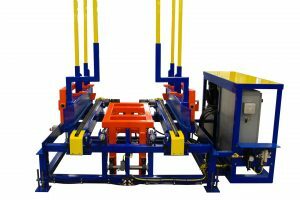 It receives single pallets from any type of in-feed conveyor and stacks the pallet with its heavy duty hydraulic chain hoist guide system. Once the pallets are fully stacked, the stacker automatically discharges the stack of pallets to the out-feed conveyor. 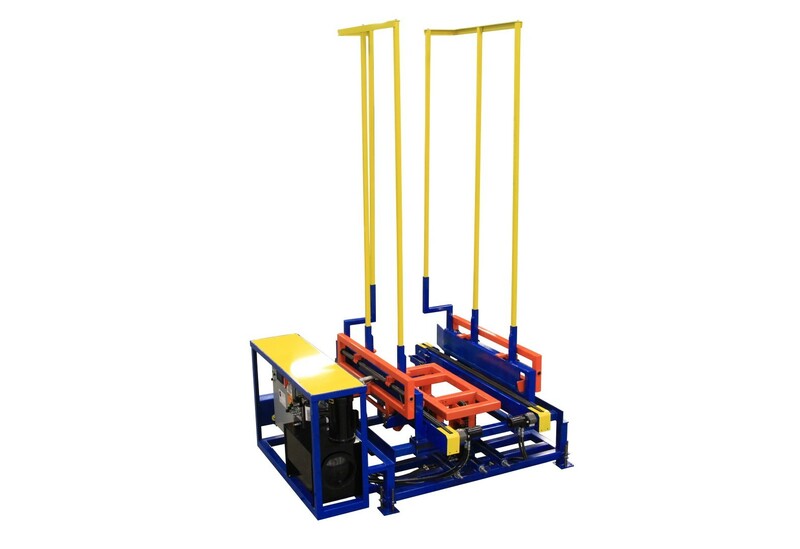 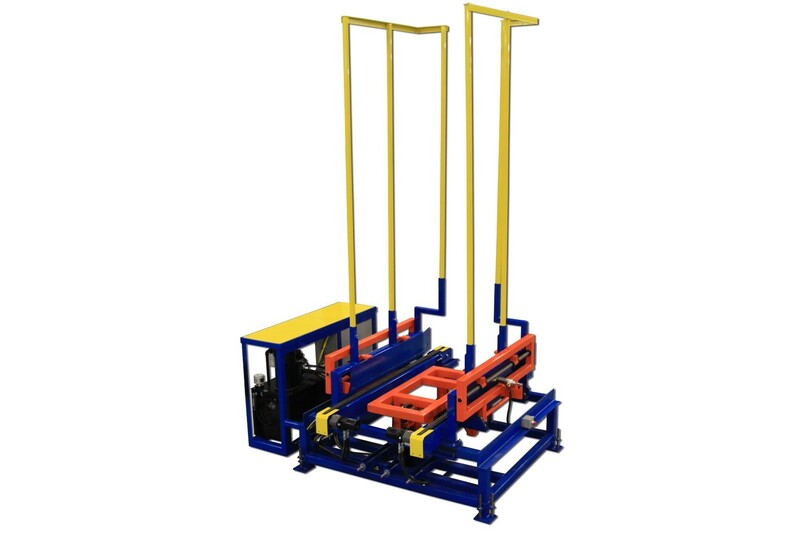 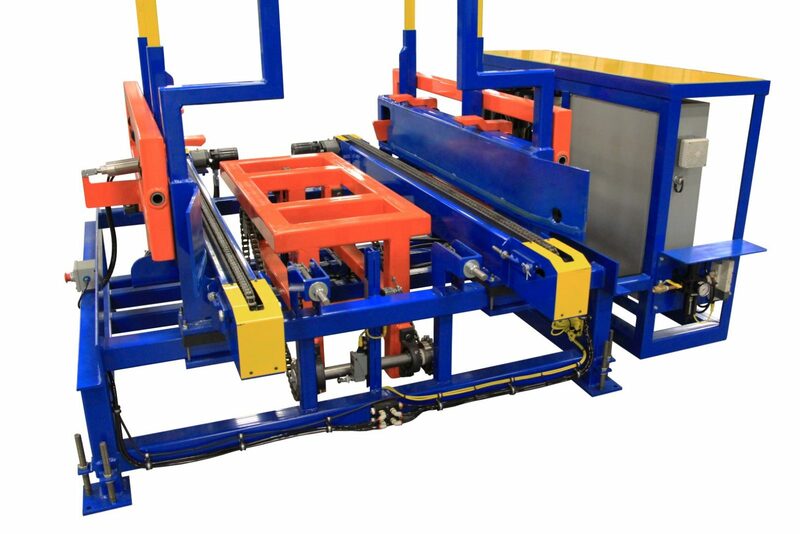 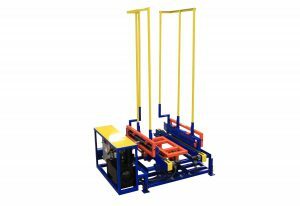 The High Speed Hydraulic Pallet Stacker can be integrated into full sort & repair systems for your ready to go pallets or as a stand alone stacker for work station units.